Bouygues Immobilier continues to develop Green Office® positive-energy office buildings in response to the challenge of designing buildings which consume less energy than they produce, while improving user comfort. In 2013, for the second year in a row, Green Office® Meudon produced more energy than it consumed. In 2011, Bouygues Immobilier handed over Green Office® Meudon, the first large-scale positive-energy office building in France and home to the headquarters of Steria France, an ambitious client fully committed to this revolution in the commercial property sector. Two years on, this pioneering project has fulfilled its promise. It has become a long-term model which Bouygues Immobilier is developing and constantly adapting to new environments. Green Office® Meudon has met and exceeded its energy performance objective. Two years after it was handed over, the building produces more energy than it uses. Following the success of Green Ofﬁce® Meudon, Bouygues Immobilier has won a reputation for designing and developing highly energy-efficient projects and has launched a number of new positive-energy developments. Through Aveltys®, a company set up with Schneider Electric, Bouygues Immobilier offers its clients a range of solutions and services to guarantee their level of building charges, including energy costs, for the entire lease period. Positive energy benefits everyone. City authorities and urban planners stand to gain because sustainable buildings enhance the urban environment in the longer term, attract and retain leading corporations, transform neighbourhoods and provide local residents with new services. Companies are better off because they reduce their costs, while increasing the comfort and productivity of their employees. And property investors boost the tangible and intangible value of their property and encourage loyalty among their tenants. “The Green Ofﬁce® concept is constantly evolving,” says Sophie Rosso, Green Ofﬁce® Director. “Our capacity for innovation enables us to build on it. We can adapt the concept to different environments and new usages.” After completing Green Office® Meudon, Bouygues Immobilier went on to develop other positive-energy buildings in France. The model is adapted to match the buildings’ location, surroundings, size and use. While Green Office® buildings are commercial property projects, they can be part of larger projects on a neighbourhood scale. Mixed-use neighbourhoods promote the sharing of resources (energy, transport and services). Bouygues Immobilier has developed a package dubbed UrbanEra® to support local authorities in sustainable urban planning. Two positive-energy city-block projects are under way: Hikari in Lyon and the new Châtenay neighbourhood south-west of Paris. The IssyGrid® project, France’s showcase district smart grid, is pioneering tomorrow’s positive-energy neighbourhoods. 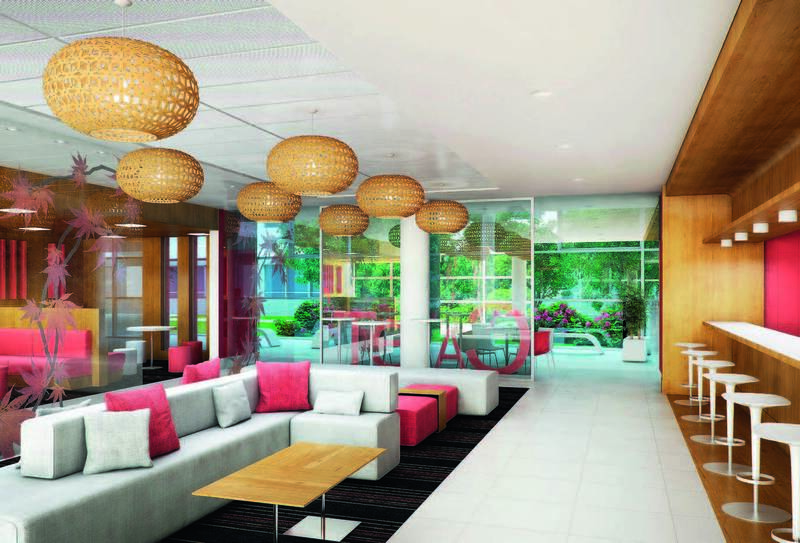 Bouygues Immobilier is now developing the Live Office concept in its positive-energy Green Office® buildings. This involves optimising workspace to harness innovation for the benefit of employees. "Green Office® enables office users to cut their overall building charges by optimising energy costs without sacrificing comfort. Live Office works in much the same way. It’s about organising workspace to boost efficiency in the office by setting up a more pleasant working environment. A company’s offices convey its corporate culture to both current and future employees. And costs are kept down because workspace is better organised."